The customer experience (CX) has become a centralized focus on creating a reputable and memorable brand and this especially applies to call centers where the CX is the primary asset. Findings from a study recently published by Gartner highlight the increasing demand for chief marketing officers to improve the CX throughout all touch points. 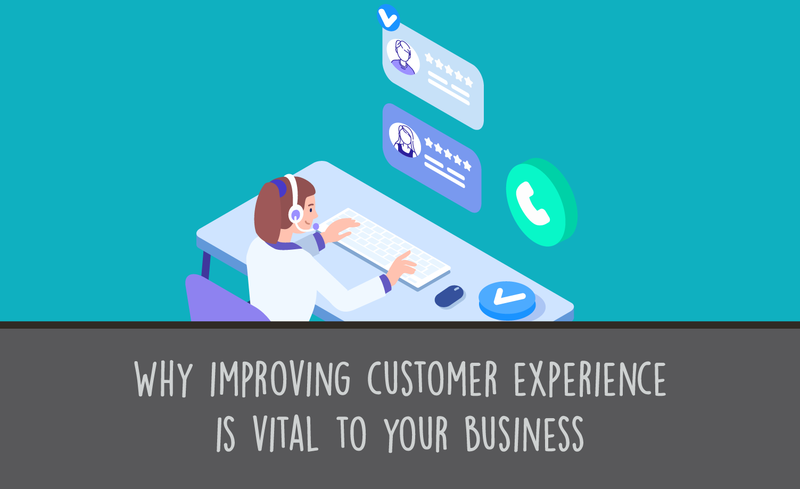 And due to an increasing use of customer call centers, this industry is undergoing extreme pressure to improve their services and deliver enhanced customer experiences. Whether it's the first point of contact or the 10th, customer service molds the entire CX, making it vital to implement solutions that exceed the customer's expectations throughout all parts of the buyer's journey. Results from a HyperQuality study show that improving the CX in a call center can boost return on investment (ROI) by more than $100,000. 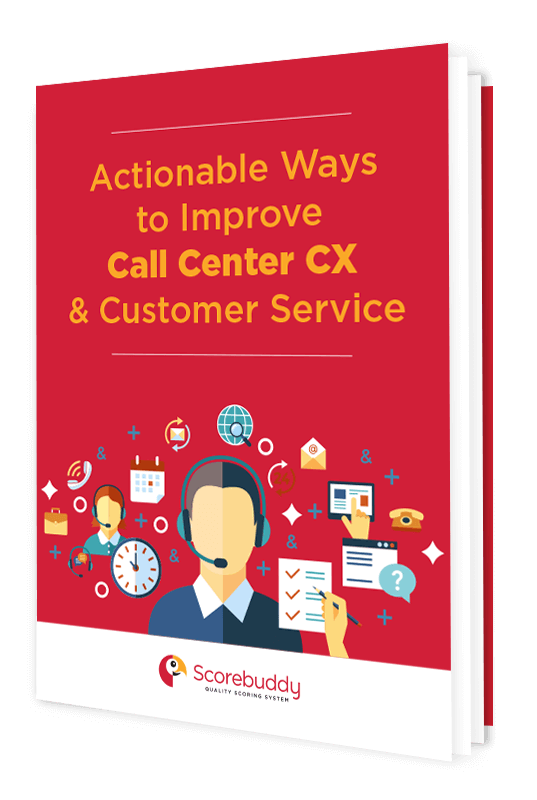 Here is a go-to guide for improving customer service and CX in your call center. In addition to tips, you'll find helpful steps for implementing these tips into your current practices. Customers are your most valuable asset, and although your attention should be directed toward them at all times, you can't forget about the people who come into contact with your customers on a daily basis -- your agents. Everyone has a bad day from time to time, but if employees are consistently unhappy with their work environment, this is likely to translate into a poor tone with customers. And no one likes speaking with an agent who is in a bad mood and is making snappy remarks. Research indicates that when a customer is speaking with a representative, the message is influenced and interpreted in part by the tone in which it was given. In fact, 38% of the way the message is interpreted is influenced by the tone in which it was spoken. Other factors influencing the way the message is received include body language and facial expressions. For call center agents, though, they don't have the luxury of being able to communicate through body language and facial expressions, meaning it is their tone that represents 100% of the way the message is received, making it all the more important to keep them happy. Without high levels of employee satisfaction, the CX is going to suffer. Think of it like this, "Satisfied Employee, Satisfied Customer." How do you keep your employees happy? It starts with superior leadership and with setting good examples. Your company's supervisors and managers must know how to lead by example. When they go out of their way to ensure employees are being provided with all necessary resources to adequately fill their duties, employees will, in turn, go out of their way to ensure customers are getting their needs met. You can also ask your agents the following questions to make sure everyone is on the same page with regards to what is expected of them. Studies have shown when employees know what is expected of them, it increases job satisfaction which translates to improving customer service and creates a better customer experience for callers. These questions also outline ways in which the call center can improve its interactions with its agents. Am I being provided with the proper equipment and resources to fill my job duties? Am I satisfied with the performance of my coworkers? Do I feel as if I'm making a difference? Is the mission of my company helping society? When was the last time someone recognized me for my performance or progress? When was the last time someone informed me of my errors and how to handle them better? Asking agents the questions like the ones above, engages employees. It conveys they are cared for and valued, and research indicates that when employees feel valued, they provide higher levels of productivity and enhanced levels of customer service, both of which results in a better CX. Over the years, customer relationship management (CRM) software has been used by call centers to evaluate customer experiences. Recently, though, key benefits have been noted by those using customer experience management (CEM), which aims to analyze customer interactions to see where improvements to customer service can and should be made. Unlike CRM, CEM captures feedback from customers who have recently contacted your call center. It analyzes satisfaction scores to ensure customers are receiving top-notch customer service and because the feedback is captured in a timely manner, it allows for issues to be addressed promptly and efficiently. The most notable difference between CRM and CEM is that CEM monitors a call center's value to the customer, whereas CRM monitors the customer's value to the call center. Real-time updates: You will receive results from the CEM in real time; this is especially advantageous for training purposes and for helping call center agents improve their next call when a negative customer experience has just occurred. Through the implementation of CEM into your overall operations, you gain the ability to develop custom-tailored strategies that solve the precise problems your call center is facing. Before integrating CEM, though, it is essential to consider the uniqueness of your call center. Pinpointing how you differ from other call centers enables you to create those custom-tailored strategies we just mentioned. And it will also help ensure the integration of CEM with your contact center software takes place smoothly and efficiently. Call centers specialize in communicating with customers over the phone. It is because of this that customers have high expectations with regards to getting their needs met in a timely manner and without having to be put on hold. They are not likely to see call centers as an organization with varying departments, and when they are put on hold, they don't understand their calls are actually being handled in a timely manner possible. And even though call centers specialize in expediting customer calls, additional steps should be implemented to ensure hold times are minimized to the least amount of time as possible; this will maximize customer satisfaction levels, which leads to a memorable and positive CX. Performance from your agents is key to your call center CX. Over the years, we have seen time and time again how revolutionary the balanced scorecard system has been in improving agent performance. The concept was first introduced in 1992 and has since simplified performance metrics. Many call centers view agent scorecards as tedious, but the truth of the matter is, scorecards enhance quality assurance and are a key step to improving customer service by using qualitative and quantitative data to pinpoint deficits in agent performance. The scorecards enable managers to acquire a comprehensive understanding of each agent's proficiencies and shortcomings, allowing tailored training to be provided to each agent on an as-needed basis. 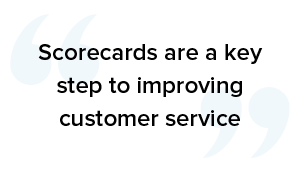 Take for example scorecards that provide a manager with valuable insight regarding a specific agent who fails to meet customers' expectations when taking calls relating to refunds. In all other areas, however, the agent exceeds customers' expectations. Knowing this information means the manager can direct the agent toward training tools that specifically aim to improve his or her ability to handle calls that have a focus on customer refunds. This not only improves the performance of agents, but it also enriches the CX. If you want to learn how your customers view the experiences they’ve had after a call your contact center, you should consider offering an easy and approachable method for customers to leave feedback. Regardless of which method you choose, allowing customers to leave feedback sheds light on which areas of your call center excels and which still requires work in your quest for improving customer experience. Getting closer to the customer’s mindset and how they perceive their interaction with your call center will not only highlight where your strengths and weaknesses are, but also show that your company is dedicated to providing world-class call center CX and is continuously striving in its quest to improve customer service. How Is Your Call Center CX Measuring Up? Striving to create a perfect CX is an ongoing process. As you reach the next level of exceeding your customers' expectations, you'll then want to exceed them even further. 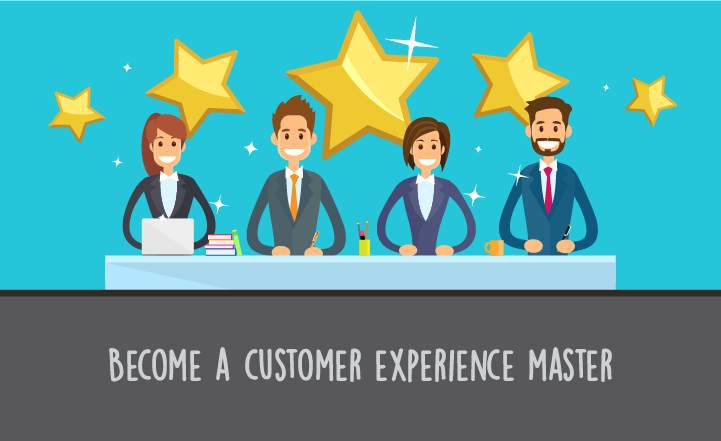 There are literally thousands of ways you can enhance the CX, and the four tips mentioned above are great starting points. Just remember, it starts from within -- it starts with your employees.